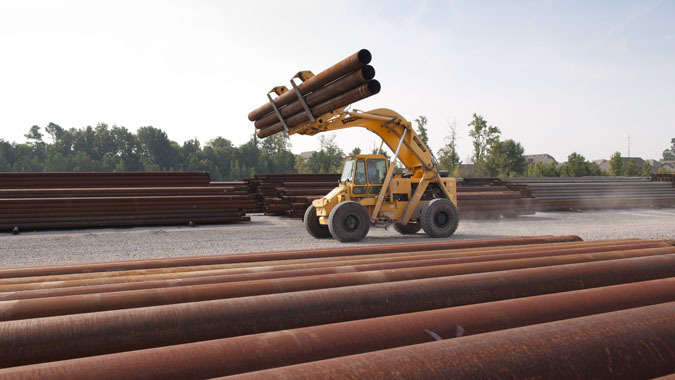 Consolidated Pipe & Supply’s Piling and Structural Pipe Division is always ready to help our customers determine the best ways to bring their projects to fruition, including full design and fabrication capabilities. We offer various types of fabrication for all piling accessories, as well as splicing, wheelabrating, beveling, grooving, and threading for any specific application. Our welders are certified, and our procedures are performed to AWS D1.1 and AWS D1.5 specifications. Mill Test Reports are on hand if required, supplemental testing provided upon request, and on-site testing is available from Consolidated’s team of specialists. 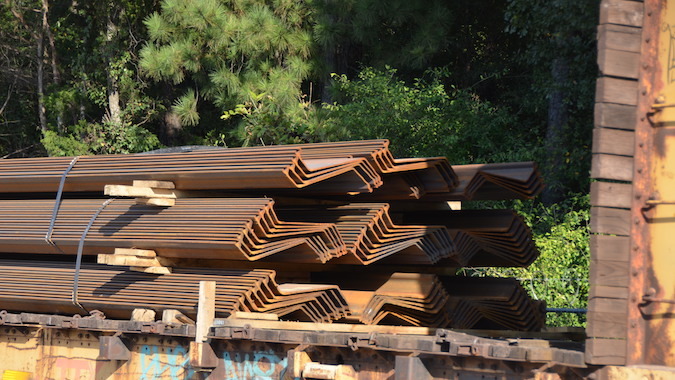 Our Bessemer, Alabama yard consists of 25,000 tons of ASTM A252 and ASTM A500 grades of pipe, ASTM A572, A588, and A690 to grades 50 and 60 of sheet pile, and 10- 12- and 14-inch sizes of ASTM 572 Grade 50 H-pile. We also maintain inventory positions and sales offices in Houston, TX and New Orleans, LA, as well as sales offices and stocking locations in Birmingham, AL; Blue Bell, PA; Atlanta, GA; and Burlington and Newark, New Jersey. 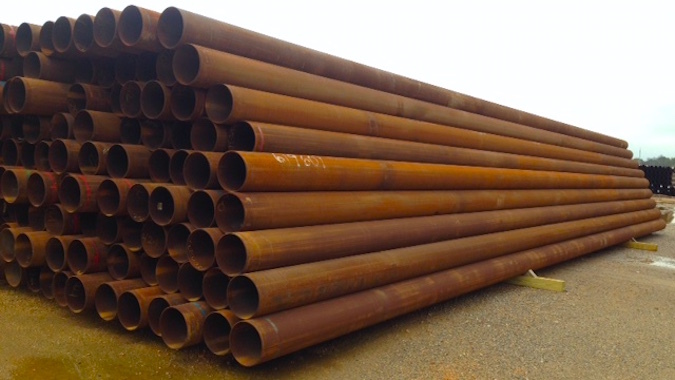 Consolidated Pipe & Supply’s Structural Pipe Division currently stocks 10- 12- and 14-inch sizes of ASTM 572 Grade 50 H-pile. 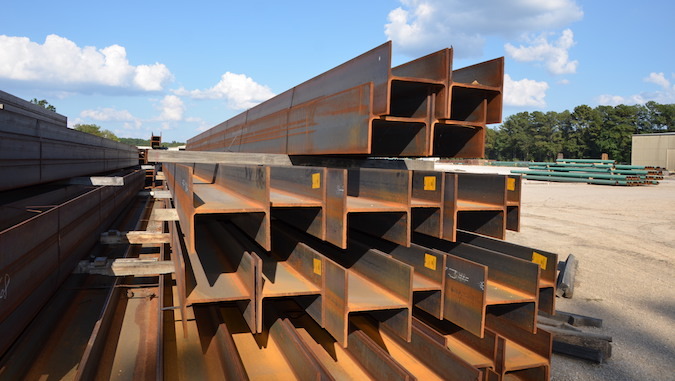 Consolidated Pipe & Supply is also a supplier of both hot rolled and cold formed sheet pile for purchase or for rental. Inventories include ASTM A572, A588, and A690 to grades 50 and 60. Cast steel end protection can be attached to our sheet pile with a minimum of weld. This prevents tearing and leakage and provides for maximum salvage. Reinforcing pile ends makes for optimum penetration into any soil, which is especially beneficial when obstructions are anticipated. 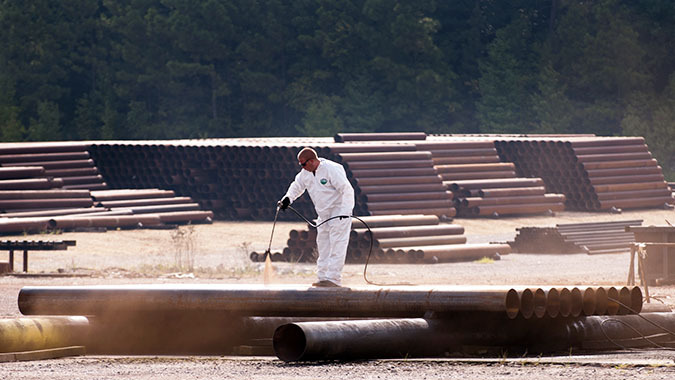 Consolidated Pipe & Supply offers a complete line of specialty coatings for nearly any application. 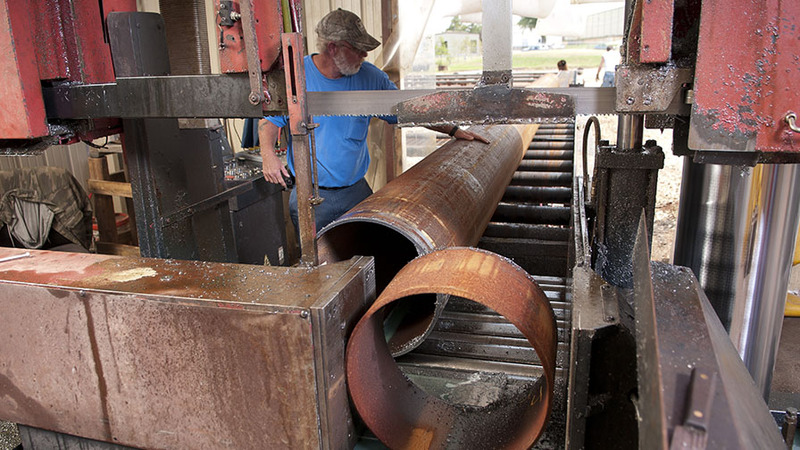 We specialize in cut-to-length orders with saw cutting through 24" diameters. We offer various types of fabrication for all piling accessories, as well as splicing, wheelabrating, beveling, grooving, and threading for any specific application. Our welding procedures are performed in accordance with ASTM D1.1 and D1.5. We strive to offer superior quality and 24-hour service with competitive prices. Please contact our sales representatives and allow us to assist with all of your structural needs. Mill Test Reports are on hand if required, supplemental testing provided upon request, and on-site testing is available from Consolidated’s team of specialists.